Contains 400 I.U. of tocopheryl acetate. 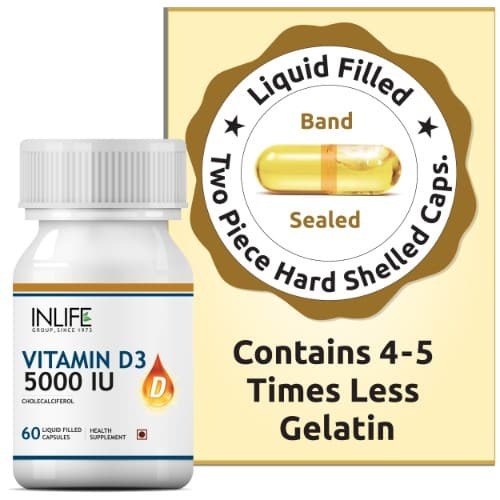 60 capsules per pack. 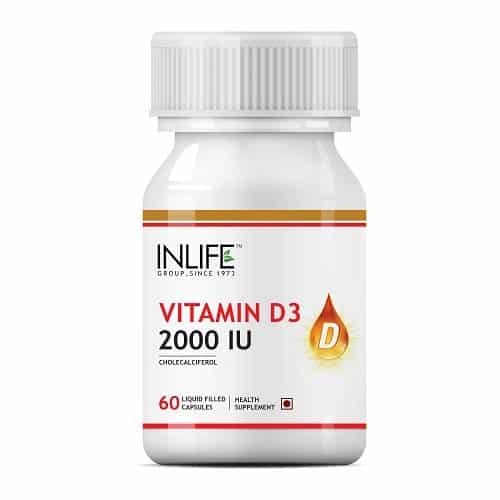 Helps protect skin from UV rays. Helps to maintain skin health. Oil can also be applied externally. 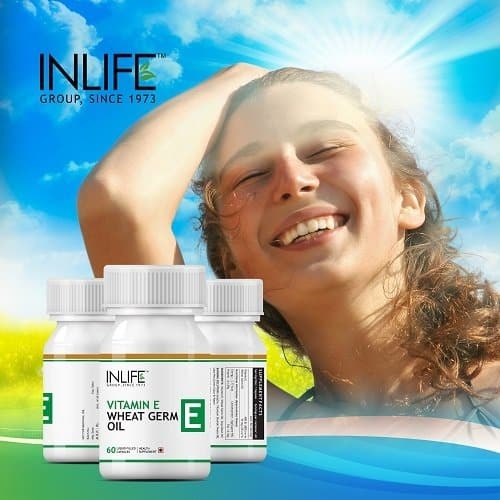 INLIFE Vitamin E with Wheat Germ Oil is an excellent combination for health and beauty. 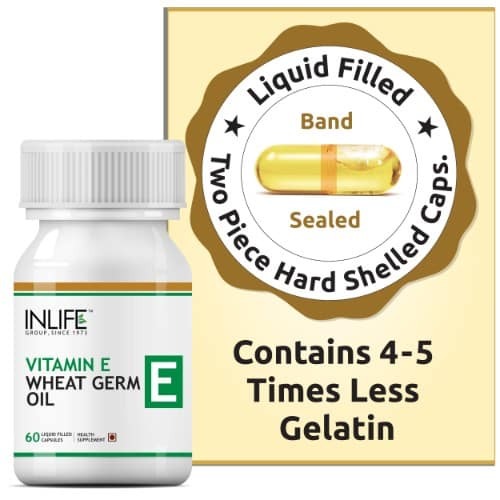 Our liquid filled capsules contains dl-Alpha Tocopheryl Acetate form of vitamin E.
Each vitamin E capsule contains 400 I.U. of tocopheryl acetate that can penetrate through the skin to living cells, where nearly 5% is converted to free tocopherol and offers beneficial antioxidant effects. This tocopheryl acetate is shown to be effective in skin damage caused due to UV rays. 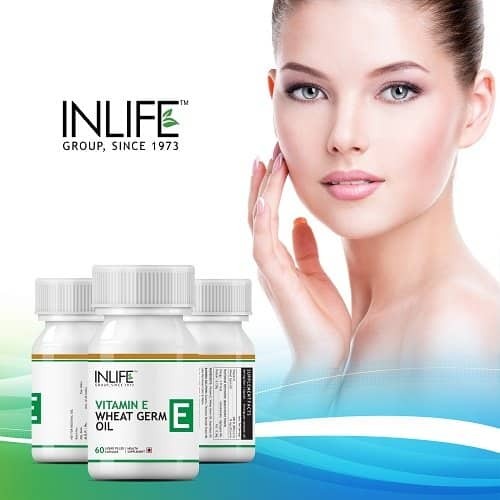 Vitamin E fights against free radical damage and helps to maintain healthy heart, blood system and cholesterol levels. 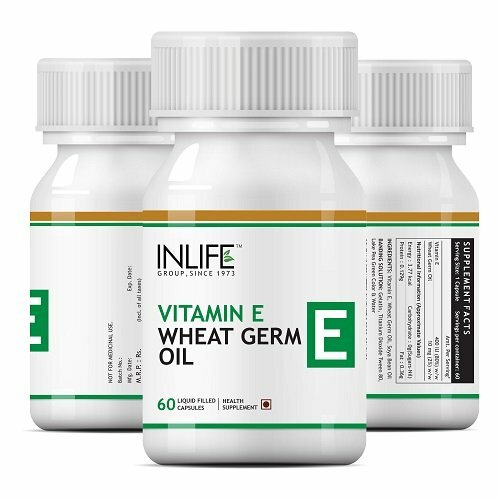 Wheat germ oil is a rich source of vitamin E and vitamin C that has been added as a synergist to complement vitamin E capsule. 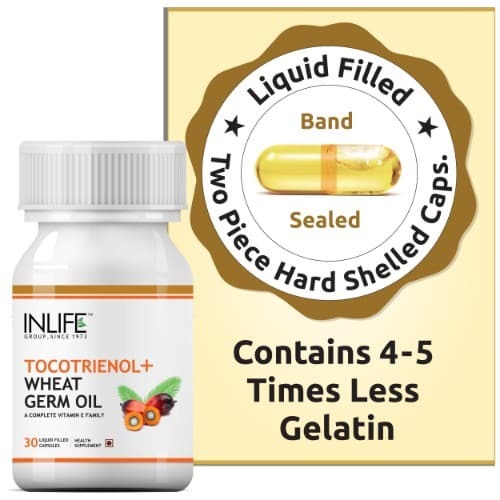 The tocopherol content of wheat germ oil is unique and is represented mainly as α-tocopherol, which is a superior radical chain-breaking agent. 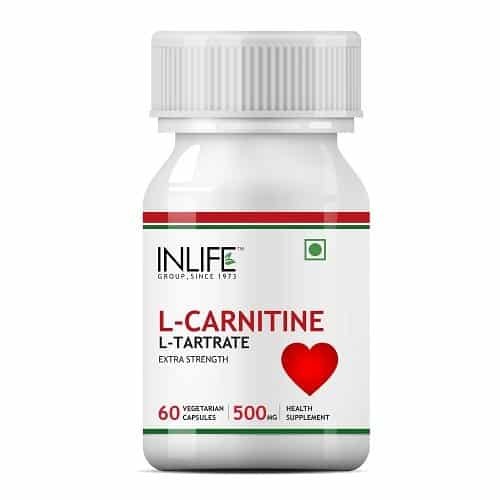 Suggested Usage: As a dietary supplement for adults 18 years of age and over, take 1 – 2 capsule daily after meals or as directed by a healthcare professional. I was using for hair concern and says are good and finding improvement too.excellent service. Product is good, its give good result. 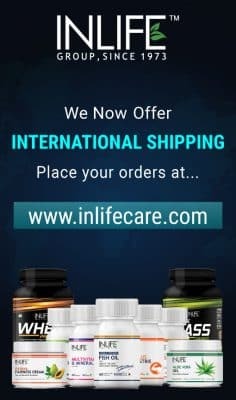 very nice products i will reorder soon. I have been using in life products and I must say they work quite well. 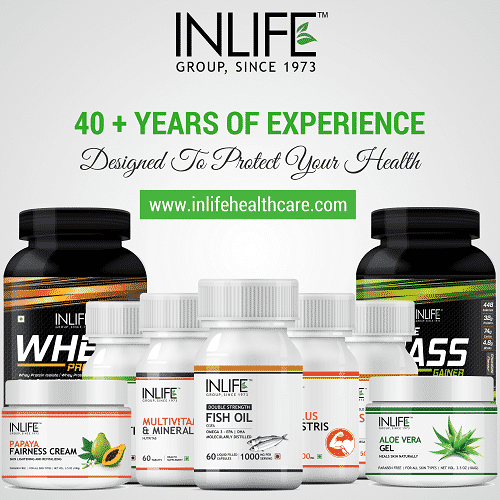 I am using inlife health care supplements regularly. Suffering from PCOD that’s why have started to take these supplements. Hope for the best result, will update further. 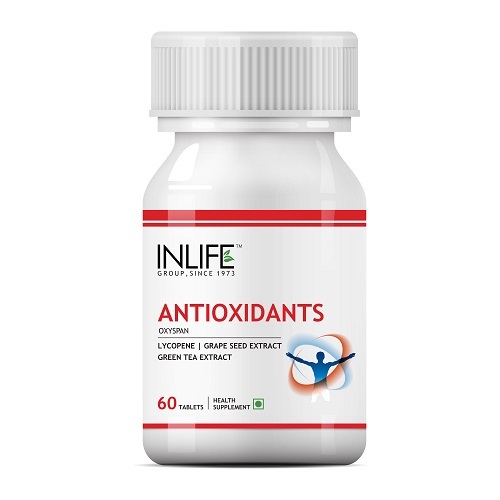 I take this as additional anti-oxidant against inflammation. I have confidence in it, I’m free so far of inflammation problems. My nails were stronger after only a few weeks! Friends just switched to this product recently, so far so good. This is a great high quality product, my skin is far more hydrated after using it for a few weeks, highly recommended. Excellent product. 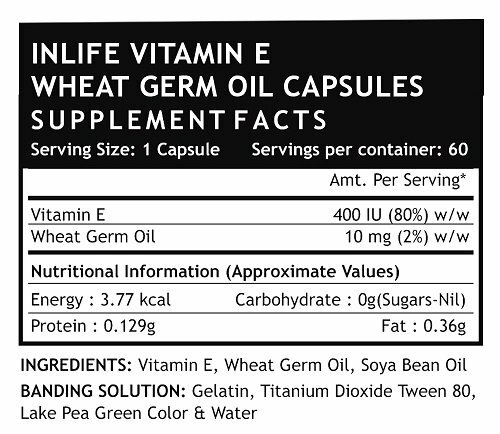 Inlife vitamin E & Wheat germ oil is liquid filled capsules which is more effective compared to other brands. Only 7 capsules left from first buy, I am happy to buy again. 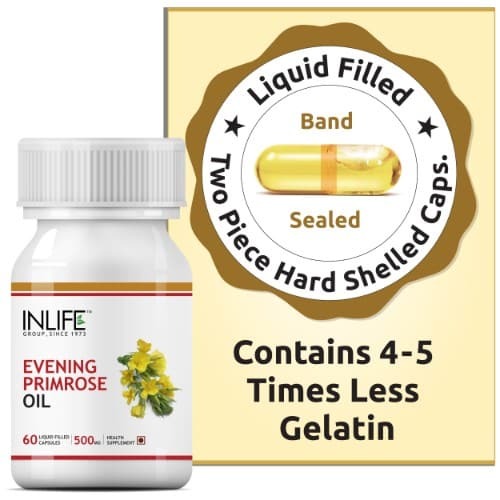 Overall: I am happy with the supplement. I will recommend for friends. my wife feels the difference and also her hair fall has reduced to great extent. 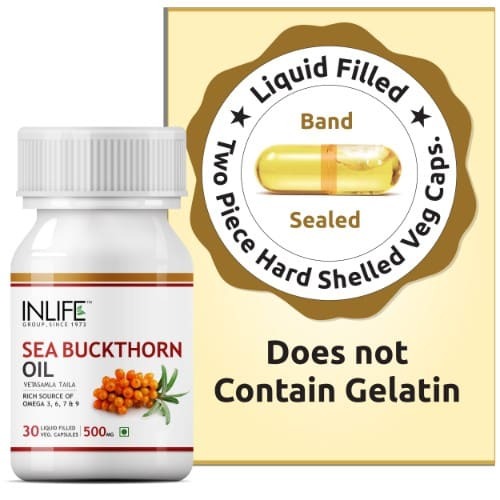 I had a tremendous hair fall problem earlier but after using this product it has reduced to a great extent.I think this product is working really good with me.I am applying it directly on hair and I feel it really help in my hair growth. It is only 1 month that I am using this product.I am not consuming it but mixing it with coconut oil and applying directly to my hair.I can see that my hair fall problem has resolved to a great extent and also I can see a little volume.I am feeling much better then earlier.It is a nice product. 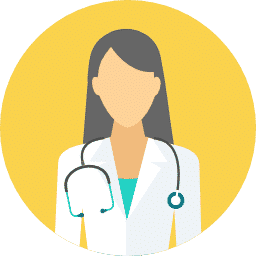 My wife was suffering from serious inflammation and gastric trouble.I was not ready to start allopathy medicine as I am aware that allopathy medicine howsoever they give relief faster but has certain side effects. 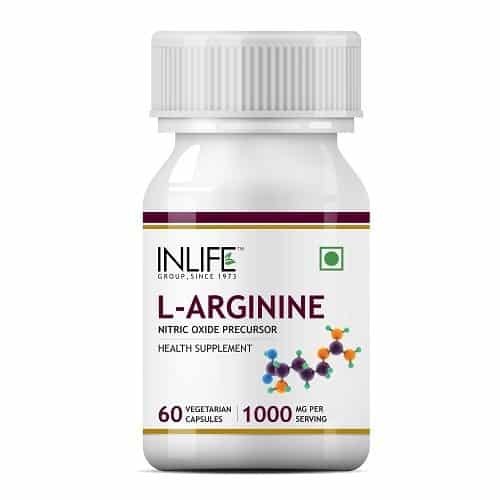 I decided to give her some dietary supplements and i got to know online through Inlife and I purchased this product.After consumption of 2 months she says that her swelling has reduced and also her gastric problem has come down to a great extent.I could feel good when I see her relieve. 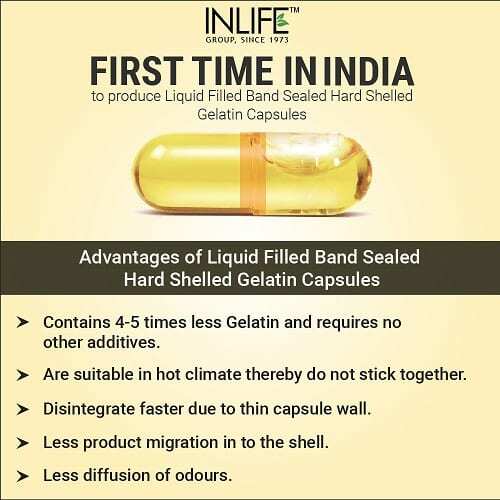 I am quite happy to purchase this product.Before using this, I was experiencing too much of hair fall.I use to think whether I will go bald.However, thanks to Inlife my hair fall is reduced.It is only 2 months and hence I am still waiting for more surprises to come on my doorstep.However, I must say the first surprise was pretty impressive. I always wanted something that I can apply on my face rather than consuming it. But then I saw this product and thought to use it as an application. I break the capsule and apply it twice a week as a face pack. My skin is glowing now. I am happy with this product. I am buying this product 2nd time. It’s a very good product. I liked this product. Feeling improvement in my skin health. your products are good and I do feel changes within me. My skin complexion increased with this product.